Cornell University Professor Anindita Banerjee uncovers the secret history of early Russian science fiction, and how SF tied in with Russians' obsessions with modernity, in her new book We Modern People: Science Fiction and the Making of Russian Modernity. We're lucky enough to feature this exclusive excerpt, dealing with the founding of Nature and People and early writers such as Konstantin Tsiolkovsky and Yevgeny Zamyatin. Science and technology are defining modern reality by transforming not just everyday life, but the very ways in which we think and imagine. A new kind of writing called nauchnaia fantastika, scientific fantasy, is playing a not inconsequential role in this process. Is it not in the imagination where bold theories and amazing machines are first born? Along with news of the latest scientific and technological developments, therefore, our magazine will continue to present a rich panorama of meditations on their potentials that will seem anything but fantastic to those of our times. Modern life has lost its plane reality. It is projected not along the old fixed points, but dynamic coordinates of Einstein, of the airplane. In this new projection, the best-known formulas and objects become displaced, fantastic, the familiar — unfamiliar. . . . And these new beacons clearly stand before the new literature: from "daily life" to "realities of being," from physics to philosophy, from analysis to synthesis. The striking continuity between the two passages reveals that a distinctive category of writing called nauchnaia fantastika, which I have translated as "scientific fantasy," began to be recognized, produced, and consumed in Russia long before the American editor Hugo Gernsback introduced the term science fiction to the English-speaking world in 1926. Its defining features, furthermore, corresponded closely with what Darko Suvin would theorize as estrangement and cognition, the "necessary and sufficient conditions" of science fiction. While the 1894 editorial stressed that it required a modern, techno-scientific sensibility on the part of both writers and readers, Zamyatin celebrated its unprecedented potentials of defamiliarization. Even more remarkable, however, is the fact that long before science fiction came to be called a genre in the West and merited with due critical attention, its Russian equivalent seems to have metamorphosed from a novelty of popular culture to an integral part of intellectual debates about the best way to engage with the new realities of the unfolding twentieth century. What accounts for the emergence of science fiction avant la lettre in Russia? Why and how did it proliferate so rapidly and acquire such prestige in a context whose actual state of modernization was famously described by Leon Trotsky as "combined and uneven development"? The answer may be found in a unique symbiotic link between genre and time repeatedly invoked by the passages cited above. For editors, practitioners, and critics alike, the new category of writing was inextricably bound with the concept of modernity, or sovremennost'. Science fiction in the Russian context, therefore, connotes much more than a by-product of the consciousness that science and technology had become the primary driving forces of modern life. As both Zamyatin and the editors of Nature and People take pains to emphasize, it evolved into an important participant in the formation of that consciousness. By privileging science fiction as a crucible of actual techno-scientific innovation and equating news reportage with speculative extrapolation, Nature and People blurs the boundaries between the representation of modernity and the realities of modernization. Zamyatin goes one step further: He compares the effects of this new kind of writing to the cognitive revolution brought about by actual developments such as the theory of relativity and the technology of aviation. His prescription for a new model of national literature, therefore, invests science fiction with the radical function of modernizing not just Russian life but also the Russian mind. For Zamyatin, its poetics of estrangement transform science itself into a new metaphysics, and elevates technology far above the level of novel artifacts. What were previously perceived to be mere analysis and mechanics become portals for entering a higher state of existence, a "reality of being" (bytie) quite different from mundane "daily life" (byt). Science fiction thus provides the road map for a new class of subjects, whom Nature and People calls "those of our times" and Zamyatin designates "we modern people," to reinvent their lives, realities, and even beliefs. This book is devoted to the tumultuous decades between the 1890s and the 1920s, spanning the fin de siecle and the early Bolshevik period, when it first acquired tremendous ideological currency and cultural prestige. It was also during this time, bracketed by the Nature and People editorial and Zamyatin's manifesto for a new literature, that science fiction began to be written, read, disseminated, and discussed not just in literary circles and popular media, but also by scientists and engineers, philosophers and policy makers. Zamyatin, a professional engineer, cultural theorist, and prominent member of the literary avant-garde, represents the confluence of Russian scientists, social visionaries, and modernists who experimented with the emerging contours of science fiction. Konstantin Tsiolkovsky, a mathematician and philosopher who began writing science fiction in the 1890s, was also an exemplary figure of this kind. Tsiolkovsky defended his choice of writing in the speculative mode as "the most effective way of conveying the ambitious yet esoteric horizons of my world-view" — a view that extended to the farthest frontiers of the universe, resulted in his posthumous lionization as the father of the Soviet space program, and immortalized him as the founder of a millenarian movement called Cosmism. Instead of academic journals, he chose Aviation Herald (Vestnik vozdukhoplavaniia), a magazine whose audience included both professional airmen and lay enthusiasts, as the first venue for publishing his futuristic hypotheses about venturing into outer space. 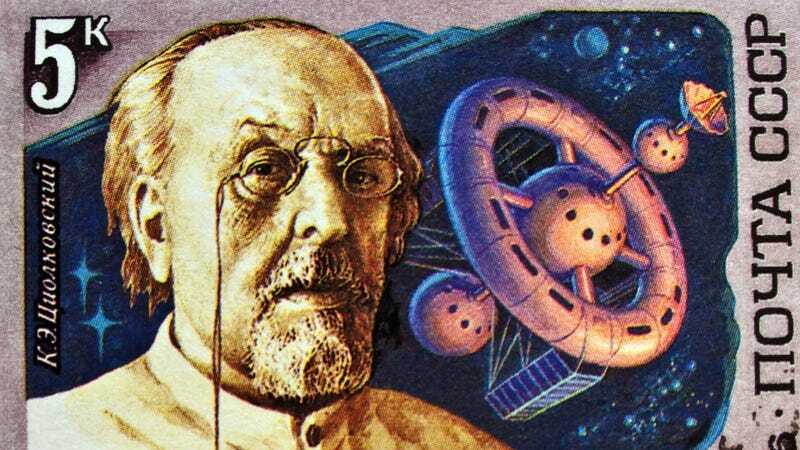 Tsiolkovsky was convinced that its "astonishingly diverse body of readers, open to the true potentials of science and technology in the modern age, would not immediately dismiss my thoughts as mere flights of fancy." This statement, like the Nature and People editorial and Zamyatin's manifesto, invokes a privileged relationship between science fiction and the consciousness of being, or wanting to be, modern. In order to understand this relationship and delineate its contours, this book expands the scope of examining both science fiction and modernity in the Russian context. Instead of reconstructing a literary history of the genre, as is the norm, I attempt a genealogy of the most distinctive feature of Russian science fiction: its symbiotic emergence with a uniquely Russian vision of modernity. It was at the turn of the twentieth century that science and technology truly began to dominate Russian discussions about the phenomenological, epistemological, institutional, and cultural parameters of modernity. In Reasons for the Decline and Rise of New Trends in Modern Russian Literature (O prichinakh upadka i o novykh techniiakh v sovremennoi russkoi literature), the founding document of Russian modernism issued in 1893, Dmitri Merezhkovsky noted, "We are present at a great, highly significant struggle between two views of life, two diametrically opposed world-views: the latest demands of religious experience are colliding with the latest conclusions of scientific knowledge." "In the age of weakening not only of the old religious faith but also the humanistic faith of the nineteenth century, the sole remaining strong belief is the belief in technology," declared the philosopher Nikolai Berdyaev. Outlining the "immediate tasks of the Soviet Government" in 1918, Lenin advocated that Russia "must adopt all that is valuable in the achievements of science and technology from the West," even though "like all capitalist progress they stand for the refined brutality of bourgeois exploitation." Behind such landmark statements, however, lies a vast unexamined arena in which science and technology also became democratized for the first time as accessible metonyms of modernity for a large number of Russians. The scientific and technological revolution in the West coincided with a veritable explosion of popular print culture in Russia. From the late 1880s, which Jeffrey Brooks, in his seminal study of media and literacy, calls the "peak period of periodical publication," science and technology began to emerge as the primary indices of a rapidly changing world that Russian newspapers and magazines hastened to bring home to their audience. Reports about groundbreaking techno-scientific advancements occupied dramatically increasing space in large-circulation and limited-edition journals alike. In the illustrated weekly The Field (Niva), which Brooks notes "was read by an audience that extended from primary schoolteachers, rural parish priests, and the urban middle class to the gentry," coverage of science and technology increased from about 10 percent in the mid-1880s to more than 50 percent in 1900. The European Herald (Evropeiskii vestnik), a bastion of progressive thought previously devoted to philosophy and literature, also began to carry long features about the latest discoveries and inventions. From 1891 onward, The Field began to offer a special supplement on popular science every month. The strongest indicator of this trend was the appearance of magazines such as Nature and People, which programmatically devoted themselves to making the esoteric fields of science and technology accessible to the lay reader. Nature and People was followed not only by Around the World (Vokrug sveta), which continued publication through the Soviet period and is still read in Russia today, but also numerous other periodicals such as Argus, Scientific Review (Nauchnoe obozrenie) and The Journal of the Latest Discoveries and Inventions (Zhurnal noveishchikh otkrytii i izobretenii). Publications dedicated to specific subjects that particularly excited the public imagination, such as physics, astronomy, paleontology, electricity, medicine, and flight, occupied a special niche in the new market of popular science magazines. Aviation Herald, which carried Tsiolkovsky's science fiction, began circulating soon after the Wright brothers' first flight and targeted aspiring professionals as well as amateurs. As proudly noted by the editors of Nature and People, most of these publications freely conflated journalism and speculative writing. A shared lexicon of science and technology created an unprecedented bridge between cosmopolitan intellectuals and the burgeoning middle classes, Petersburg and the provinces, urban consumers and "rural primary schoolteachers and parish priests," professional scientists and amateur enthusiasts, and most significantly, writers and their public. This heterogeneous collective constituted the first implied and real audience of science fiction in Russia. They devoured translations of Jules Verne, Camille Flammarion, and H. G. Wells, serialized alongside Russian science fiction writers on the pages of the same periodicals that also carried news about the latest techno-scientific developments, speculated about their implications, advertised technological trinkets, and announced demonstrations of scientific marvels. Despite, or perhaps because of, the uneven manifestations of technological modernization in everyday Russian life, science fiction became the self-identified narrative of a new imagined community that Zamyatin called "we modern people." The conjuncture between the scientific and technological revolution in the West and the rise of mass media in Russia reveals the intertextual, intergeneric, and indeed intermedial dialogue through which science fiction emerged and engaged with its remarkably diverse audience. Consequently, this book does not limit its purview to the handful of early science fiction writers who have been canonized as bona fide precursors of the Sputnik era, such as the symbolist Valery Bryusov, the radical Bolshevik Alexander Bogdanov, and Zamyatin himself. Instead, I situate so-called literary and popular works, including little-examined experiments by prominent representatives of modernist movements and proponents of major intellectual trends, in a much larger continuum. Overtly fictional texts penned by both famous and obscure authors are examined in close conjunction with a rich archive of newspaper and magazine articles; advertisements; research papers; philosophical treatises; visual culture; and, last but not least, official and independent manifestoes on how to make Russia modern.